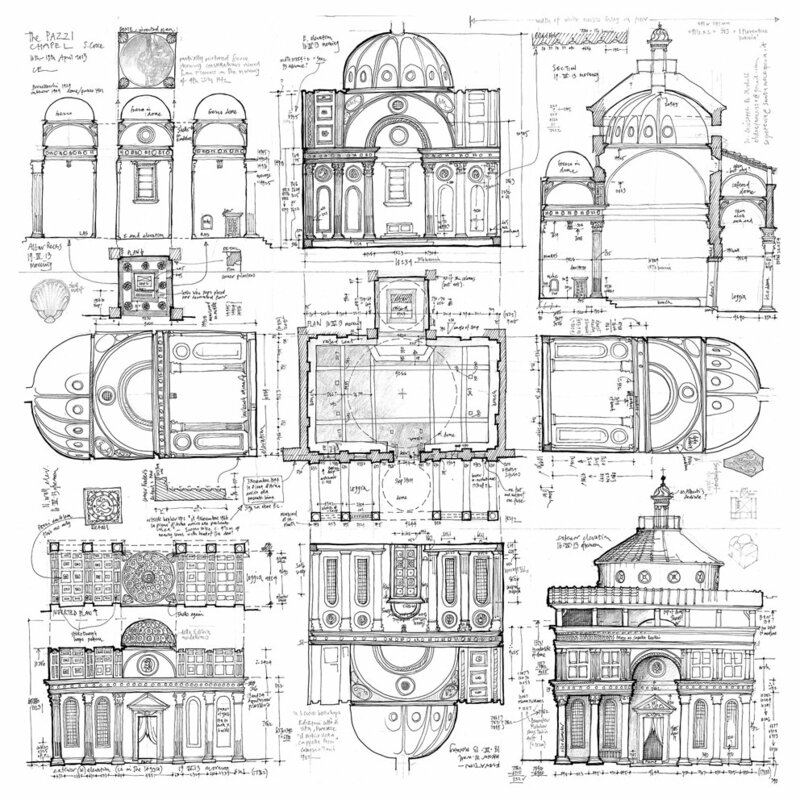 An archive-quality digital print of Chris's award-winning drawing of the Pazzi Chapel, Florence, printed in a limited signed edition of 70 on Somerset paper. or 40cm x 40cm at £95 including postage. Please enquire if you would like a framed print, various framing options are available.